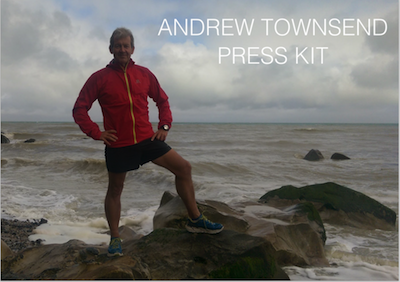 Andrew is a multi-day endurance runner, writer and adventurer from Reading, UK. He has run countless marathons, mostly self-supported and “off-road”, as well as ultras all over Europe. In 2014 he ran a marathon a month for a year in 12 European Countries and in 2015 ran 8 marathons in 8 countries in 8 days, driving himself between each country. 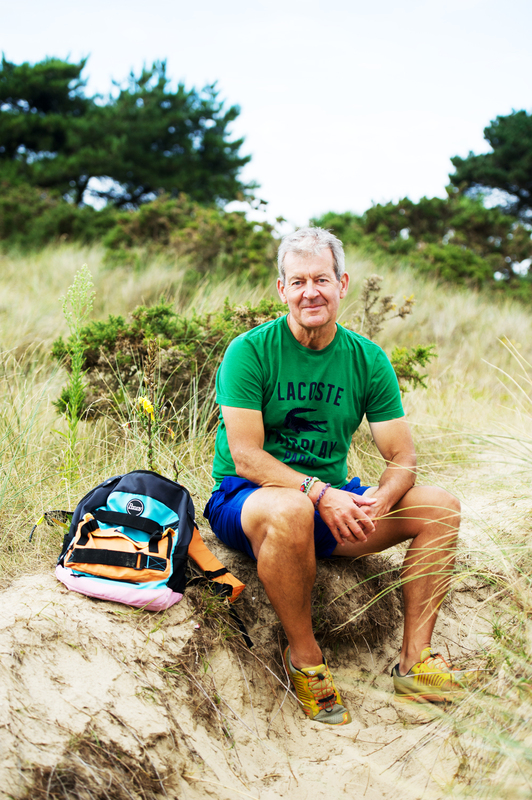 In 2016 he completed a self-supported traverse of the Spanish Pyrenees running from the Atlantic to the Mediterranean – a distance of 525 miles with a total elevation of more than 100,000 feet and he completed this in just 27 days. In 2017 he ran self-supported across Italy, covering 300km and 20,000 ft of elevation in 7 days. But what makes Andrew’s story even more remarkable is that it wasn’t always like this. After an idyllic childhood exploring the wilds of Masailand, East Africa he returned to England and a succession of private schools where he found it difficult to fit in and integrate. There followed a life in marketing and advertising and it wasn’t until his early fifties that he had an epiphany. Finding himself 70 lbs overweight, eating and drinking too much and suffering from a debilitating form of arthritis, he resolved to change his life for ever. He threw away his stick, joined a gym and started walking every day. The weight started to come off and within two years he had lost a third of his body weight and run his first marathon. He changed his eating habits completely, adopting a plant based diet and hasn’t looked back since. 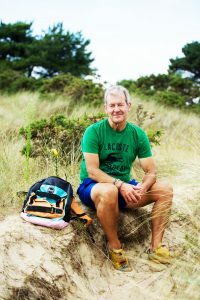 When not writing books and articles or updating his blog he can be found out in the wilds with his rucksack, running shoes and a camera exploring the great outdoors and inspiring others to kick the sedentary lifestyle habit for good. He is writing a book, “Moving Mountains”, due out later this year about his epic journey across the Pyrenees. Please click on the picture to download the press kit.